Action campaigns serve a specific purpose in a marketing strategy — driving action. Whether it’s to encourage customers to sign up for your loyalty program or convincing prospects to check out your latest product or service, action campaigns are tied to measurable objectives generally within a short time frame. We’ve discussed the specific goals for an action campaign before, but in today’s post, we’ll take that a step further and give you clear examples of when action campaigns are best utilized. As we move through these examples, it helps to remember that action campaigns run for a relatively short period of time while utilizing a high frequency. The short time period plays into the sense of immediacy, while the high frequency ensures your audience is exposed to your message often enough that they’ll actually do something. You’ll need a clear call-to-action as well to accomplish this. Media like radio are ideal for this type of campaign, especially since listeners are often exposed to radio on the go, close to the point of purchase. Radio advertising can also serve to drive your audience to get more information, especially when paired with social media and landing pages on your website. 1. You’re Launching a New Product or Service. There’s a lot to accomplish when introducing a new product or service — from informing your audience to driving sales — and action campaigns can play a vital role in a successful launch. When you need to drive interest and educate your audience about what exactly this new option provides them or how to utilize it, and when it’s time to drive sales, an action campaign not only tells your audience where to find the information or how to buy, but gently pushes them in the right direction. 2. It’s a Special Occasion or Holiday, and You’re Holding an Event. Event marketing can be extremely powerful, tying together what you do and who you are as a business with something meaningful and experiential. When you’re hosting your own event, you’ll want to use an action campaign to drive interest and, ultimately, attendance. That means you need to raise awareness, let people know why the event matters and why they should come, and promote registration or ticket sales. After all, you don’t want to hold an event that know one comes to. 3. Your Brand Is Sponsoring or Attending an Event. Holding your own event isn’t the only way to take advantage of event marketing. Like our last example, you want to ensure your customers and audience know that your business will be there, why you’re there, and why they should be there, too. Be sure to take advantage of whatever opportunities are available to sponsors and attendees, and bring in your marketing partner to ensure that your tone and creative match both the event and your brand. 4. It’s Time to Rotate Stock. It happens to every retailer — you want to move the stock you have so you can make room for the latest, freshest, and most applicable options. Consider the season — as spring turns to summer, you want to have what customers are looking for, not winter’s leftovers. Of course, that stock isn’t all a loss, especially when you consider the power of scarcity. A high frequency campaign can push the immediacy of this scarcity as well, generating the fear of missing out in a way that drives sales. 5. You Have Specific Lead-Generation or Sales Goals. Hitting a certain goal for leads or sales in a specific period of time is exactly the type of situation that action campaigns are designed for. Digital advertising, like the digital promotions we offer, provides unique ways of creating touchpoints for your audience. As one marketing touchpoint builds on the next, a well designed digital campaign with realistic goals can drive registrations, encourage relevant information sharing (e.g., email address in exchange for a white paper), increase foot or web traffic, and boost sales. 6. It’s Time to Grow Your Team. Recruitment isn’t the same as it used to be. You have to work harder to find the best talent to fill particular positions — or if you’re smart, to have this talent waiting in the pipeline for the next opportunity. Action campaigns can take your recruitment process to a new level of engagement that’s more intriguing than your typical job listings. 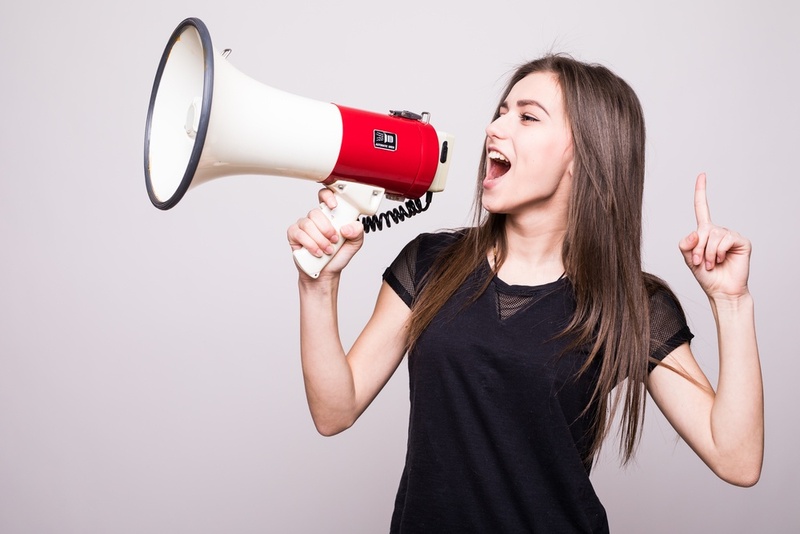 In particular, we believe that action campaigns via radio will amplify your recruitment efforts and capture better prospects than you would just listing the job and crossing your fingers. 7. You Want to Build Up Your Social Media Following. Social media has helped to put a world of brands at consumers’ fingertips, but capturing their attention and building a solid following can be difficult. Through an action campaign, you can share why people should follow you (like killer content, helpful tips and news, and a fun brand personality) and direct them straight to your social media handles. Making your social media presence part of a promotion — for instance, a contest — can do double the work by building leads, gaining followers, and having them share your brand with their social circles as well. 8. You’re Offering a Great Deal. Urgency is the best friend of special offers, discounts, bundles, and other promotions. Your deal ought to have a clear deadline, and providing attractive offers in a short period of time builds that fear of missing out. These eight marketing moments require action campaigns, but that doesn’t mean action campaigns should make up the entirety of your marketing strategy. You need a proper media mix, not just with channels (e.g., pairing radio and digital) but with campaign types as well. Awareness campaigns can be crucial for branding and keeping you top of mind. A cohesive, integrated campaign will help you achieve each of your goals in turn. Still not sure whether or not your business goal needs an action campaign? We’ve got a handy infographic that will help.